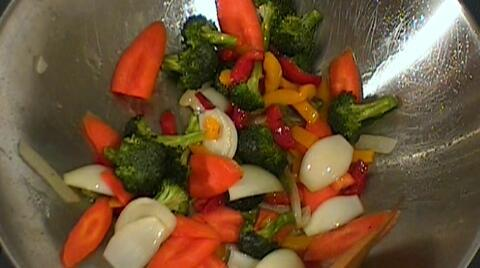 Stir fry for 2 to 4 minutes until everything is cooked. Then add in the green onions. Stir for 30 seconds, and dish up. Great Dish tat'z Simple , Quick nd Healthy too . Thank U .
how does satay sauce taste? what is tofu and where can i find it? can it be substituted with paneer? Hi Soujanya, U can simply use soy sauce. Hi Shalini..i love tofu. Can u tell me what is Satay sauce & where can i find it. Can it be substituted by any other sauce?